Jing Tea Wu-Long EgCg Ultra Lean Energy Tea - Powerful Weight loss and Energy Drink; Just Mix with Water and Go! mineral rich mountains of Wu Yi in China. So it is also called Wu Yi Tea. function of fat metabolism and to controlling obesity. drank the traditional green tea. That is.. twice as many calories were burned by the Wu-Long tea drinkers. 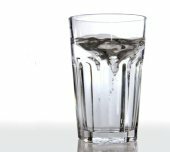 only 4% and those who drank water was 0.
a lower body fat content." fat naturally converting it to energy! Wu-long also appears in the latest issue of Women's Health and Fitness! responsible for noradrenaline-induced lipolysis (breakdown) of adipose tissue." recalcitrant AD, which does not respond to conventional treatment. University of California, Davis, the nutrients in this kind of tea may elicit a remarkable 50 percent reduction in free radicals within just 15 days! effect of plaque deposit thus preventing tooth decay. This is due to the anti-bacterial effect against oral streptococci . could include consumption of Wu-Long tea, could help to reduce the affects of this disease. causing cancer, triggering Alzhiemers disease and other chronic diseases. "Made a Difference for me"
with healthy eating, regular exercise, and a positive "can-do" mindset. of the patients showed marked to moderate improvements with 4 weeks. week. They are REALLY WORKING! those last few kilos. Thanks again. decreasing the bad. This helps prevent hardening of the arteries and blockage of blood flow. pressure if they drink more than 2 cups a day. regular drinking. A 2004 Japanese study conducted by Osaka City University found that wulong tea increases plasma adiponectin levels. concluded that wulong tea may have beneficial effects on the progression of atherosclerosis in patients with CAD. Unlike artificial "fat burners," wulong is natural and nourishing to your health. Many users report feelings of increased focus and well-being. Keep in mind, wulong does contain some caffeine, about as much as a cup of green tea but less than a cup of coffee. 80% compared to rats on normal diet. plasma glucose and fructosamine, whereas the water control group had not changed." Powerful Weight Loss + Energy Drink! Weight Loss is Now Enjoyable! Less than half of the caffeine of a soda! and I feel free and alive. I couldn't be happier." diet tea. I found Jing Tea and decided to give it a try. picture was taken at a one month interval"
I have tried everything and I am sticking with this. and it's soo yummy! Thank You!" lots of pounds too. Thanks." Don’t wait, take control and start losing weight and feeling great today! You won't believe what your body can look like in 60 days. more than 15 cups of enhanced Jing Tea Wu-Long tea. Minerals this Summer! Enjoy the yummy taste with fat burning and energy boosting last all day long! Mix the EGCG tea powder with water. 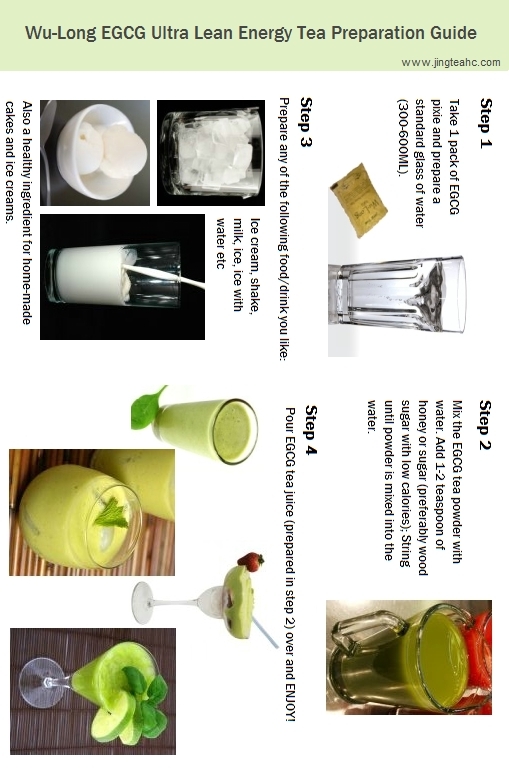 Pour EGCG tea juice (prepared in step 2) over and ENJOY! as Resveratrol and 3 times as Acai Berry.